My first boat trip in Alaska was in Seward where many cruise boats and ferries gather. It was on this first trip where I saw humpback whales breaching right next to our boat; something the captain said he had never seen before, at least not that close. 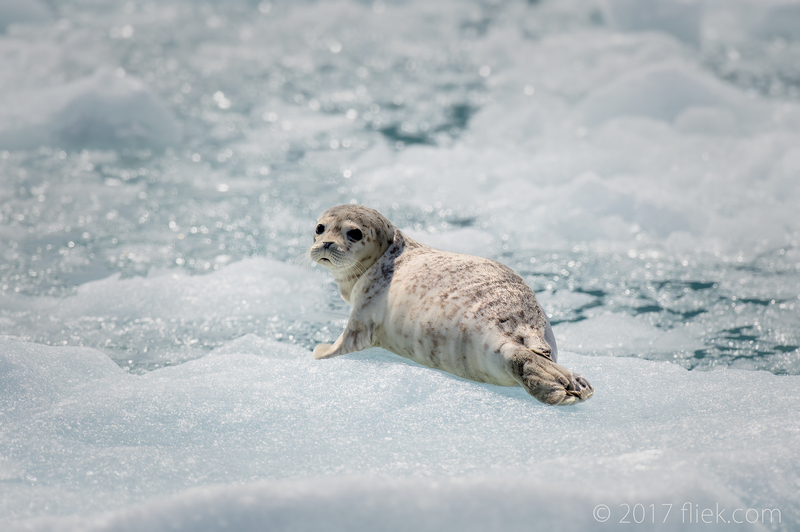 On the trip to the fjords and glaciers, we came across large fields of floating ice where seals were taking a nap and enjoying a bit of sunshine. Nikon 500mm f/4G on Nikon D4S, f/5.6, 1/1600 s., ISO 100, +0.3 exp. comp.